Mod Note: Our XUV300 Report has been taken live at this link (Mahindra XUV300 : Official Review). Please continue the discussion over on the new thread. Thanks! War of the Compact SUV's to reach a new peak. Ford's Ecosport did start it. Now Mahindra's Tivoli is the new entrant and will fight it out with Hyundai's Creta and Renault's Duster when launched. 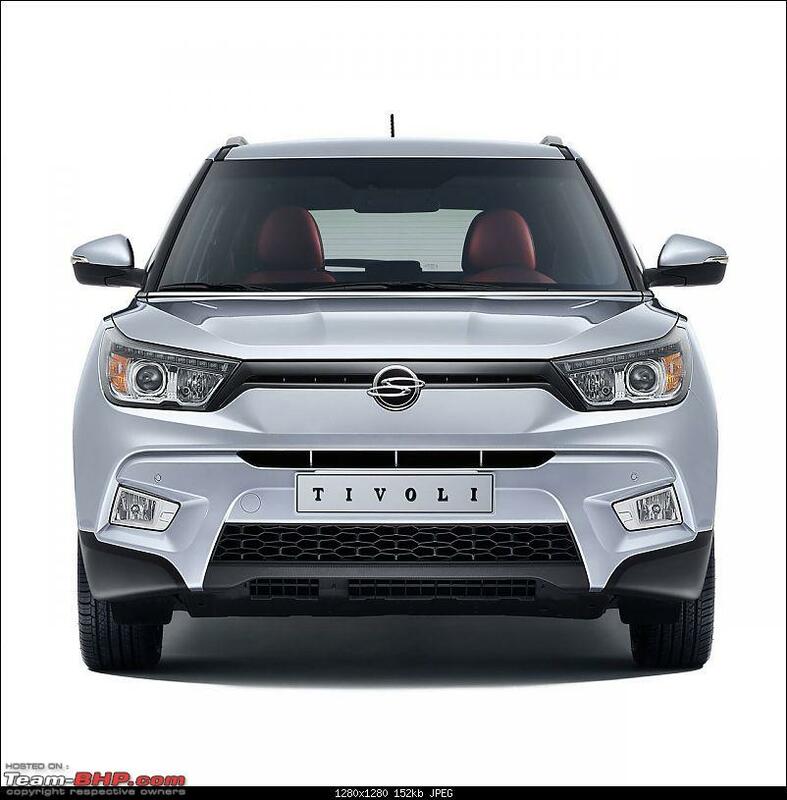 Tivoli, being a Ssangyong product is almost production ready, at least in form. What will be put to test here will be the engines along with all the parts which will be sourced from and for India. 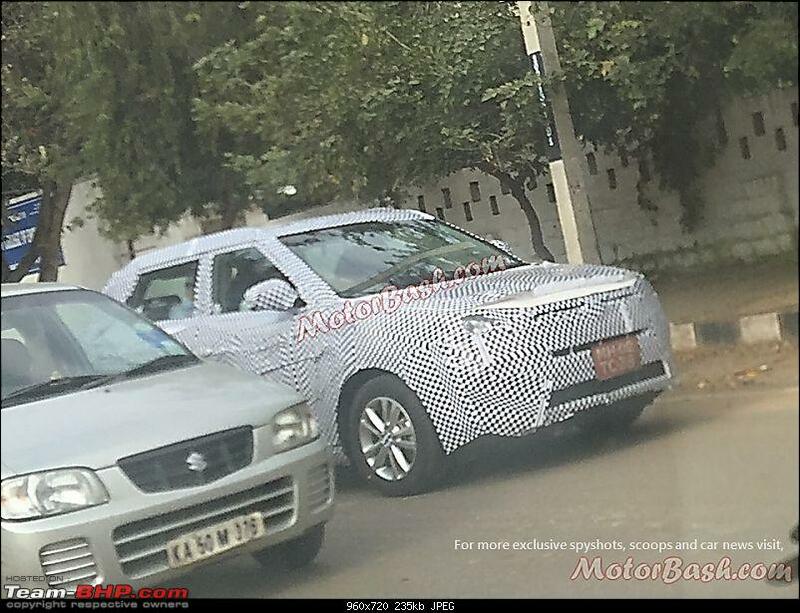 Engine details are not known at this point, along with TUV’s 1.5 liter diesel engine, it will also carry a petrol motor, most probably the 1.5 liter engine which Mahindra has confirmed, is in the making. 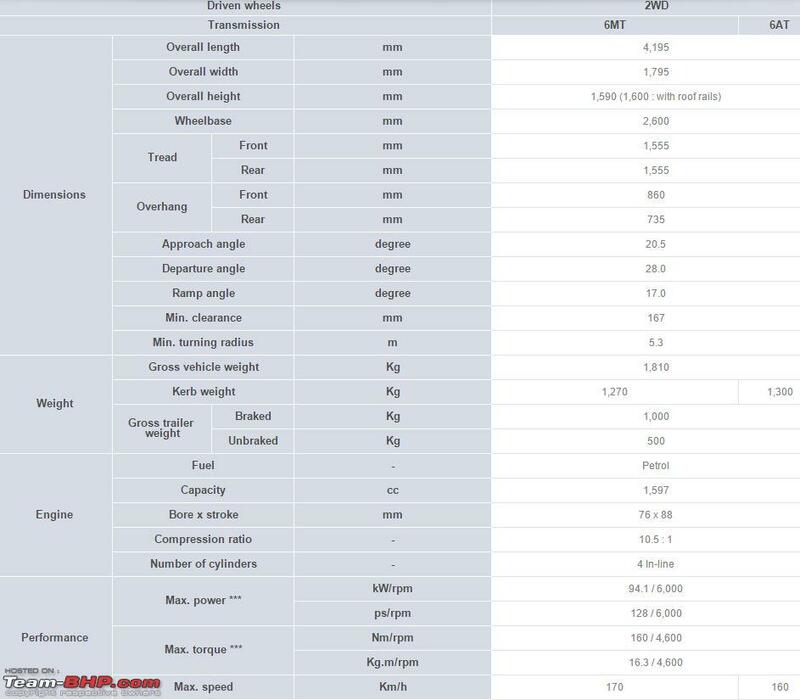 With the following specifications for the US Tivoli, not sure which way Mahindra will go. 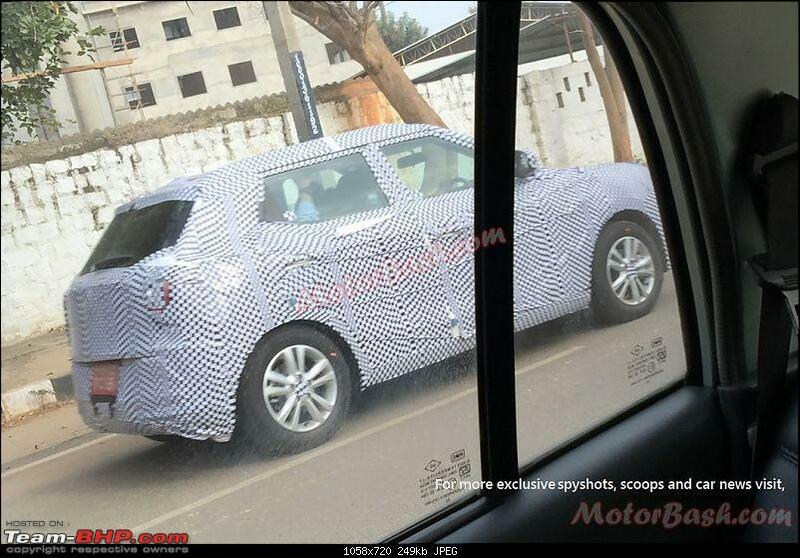 Tivoli looks very good and Mahindra should not try to get it under 4m and compromise on the looks. Ground Clearance of 167 mm will definitely be bumped, but the spy pics appears too low slung. The body work that makes the car looks low slung might be there only for camouflage. Just noticed, that this not being a true 'Mahindra' product, it just has a real all-conquering, positive vibe about it, rather than the polarizing opinions one is used to seeing of all recent Mahindras. It is also a high-stakes, high-volumes segment, and a strong presence in this segment would spell success to any car maker. 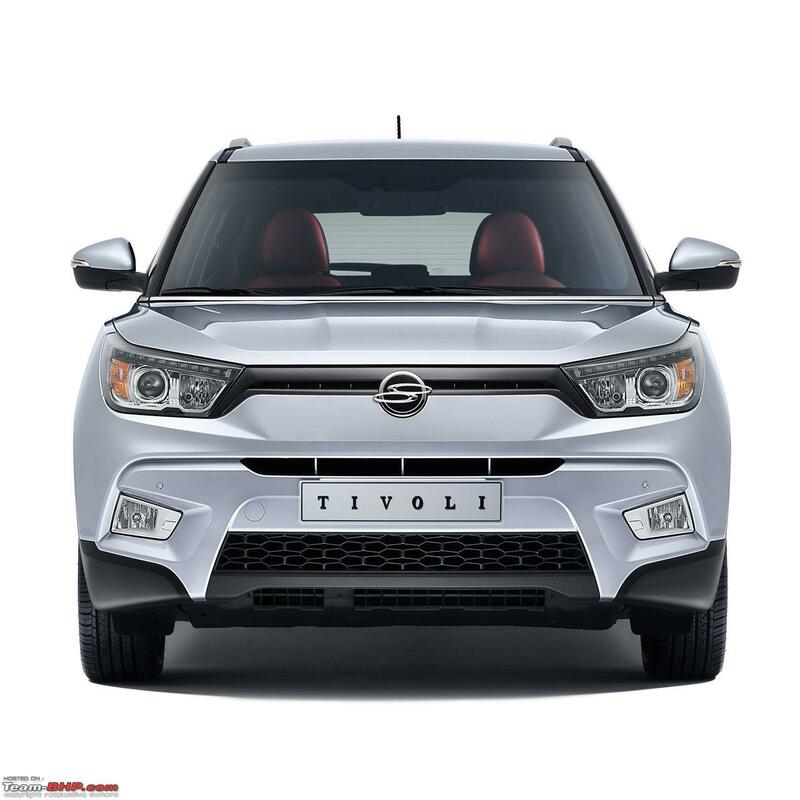 Mahindra especially, could bank on the potential success of the Tivoli to boost brand value for more upmarket products from the relatively unheard Ssangyong in the future. A 25-odd lakh SUV a year or two down the line could benefit massively that way if this car makes it big in India. In fact, by the looks of it, I should say when this car makes it big in India. It has the looks department very well covered. Then, it's a Korean; so should be heavily kitted up on the inside as well. Mahindra do need more grunt and refinement out of the 1.5L mHawk80 to fit it into this car, and the ride and handling (rather the ride, it's an SUV for India after all) needs to be optimized too. Although most of that is to be expected anyway. Mahindra know a thing or two about SUV's. Then, a understated classy marketing campaign, and a decent price, and we could be in for a new entrant in the top 5 SUV's in India. And with the TUV already well in, the KUV (gosh, hate those names!) set to come and the Tivoli in the pipeline, Mahindra have the entire compact UV segment extremely well covered. 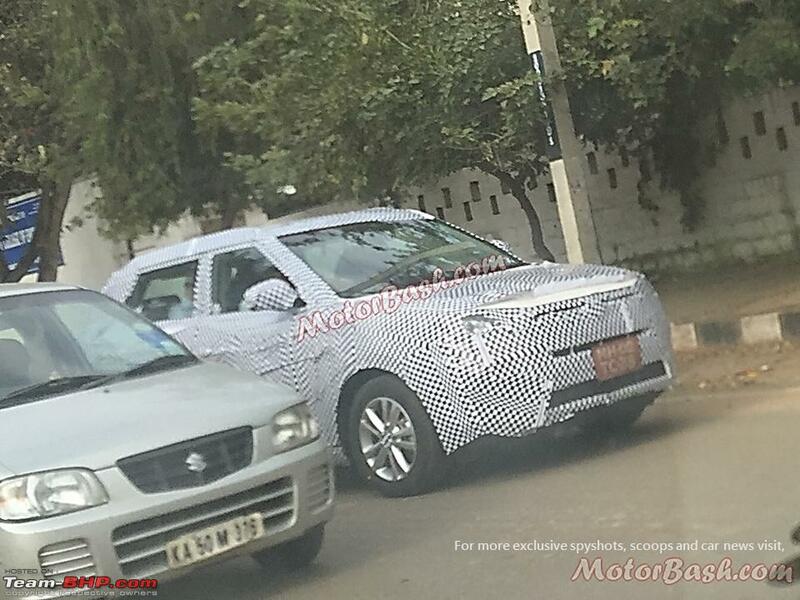 But most importantly, Mahindra need to take care that they don't up putting the much-hallowed 'Mahindra DNA' (read Jeep grille, OTT styling, OTT marketing campaign, etc) into the Tivoli. The 'Mahindra DNA' DOES NOT belong here. They may end up ruining the whole thing. I'd say even the branding should be as a Ssangyong rather than Mahindra. And with another couple of such products slotted above this one in the price rung, Mahindra can successfully convert Ssangyong into a perceived 'premium' brand here too. The ground clearance of the Tivoli (167mm) as compared to Creta (190mm)/Duster (205mm) seems low for "The compact SUV". Imo the car looks stock, see following pics for reference. Two of them have been imported. 1.6L petrol (125PS, 158Nm) & 1.6L Diesel (115PS, 300Nm). You read that right, 300 Nm of torque from a 1.6L ! Ground clearance is the easiest thing to correct. I wouldn't worry too much about it. Mahindra - more than any other manufacturer - knows the importance of GC in India. Something fishy is going on. Or am I just seeing double? The front looks handsome, but the rear is a bit too bulky. Hope they'll introduce some tasteful strips to cut the bulk. Pretty good engine specs too. Definitely worthy of an option. Let's see what plans Mahindra has! Design looks clean by Ssangyong standards. Hatchbacks, please make way. Looks like we are going to see the age of SUVs here. Right from the humble A segment to the luxury market. Everyone wants one as long as its looks like an SUV and got a very high GC. Doesn't the 1.6 MJD in S-Cross make 320Nm? Design INDEED looks good by Ssangyong standards! Being here in Korea, I do see a lot of Tivoli's plying around. 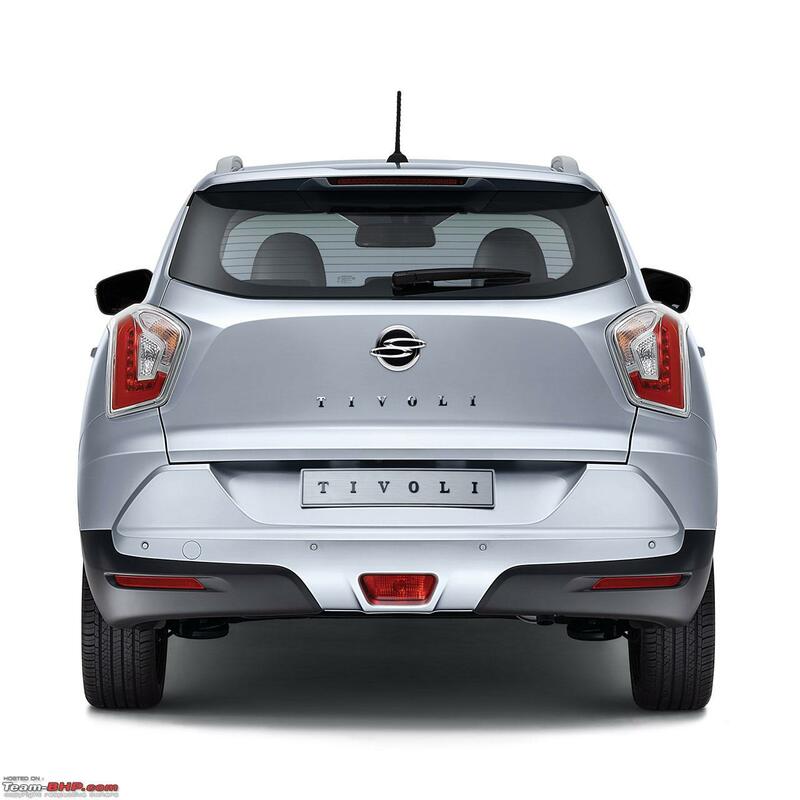 And a friend in Ssangyong says it is Tivoli which is currently driving Ssangyong. 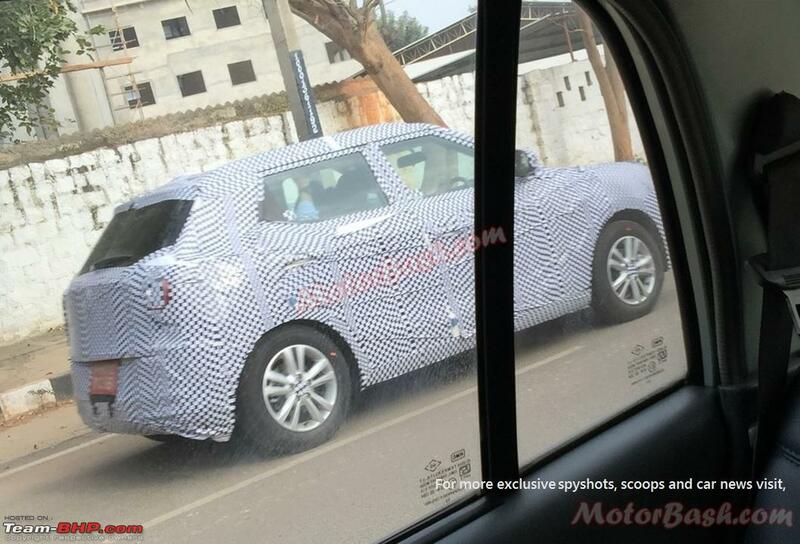 Hopefully Mahindra will do justice to the car in terms of engine variants. Nice car. Will do well here for sure in its stock form itself because India is a market where "form" counts over "function". Wonder if they will bring in all the bells and whistles from the International Market for the India scenario. Will this come with an AWD option? Also, as many have rightly pointed out, they should bring up the GC. I would say it needs to get to at least 180mm a la the Scorpio, Yeti and others. TIVOLI, now read it from other way - I LOV IT. I really loved it. 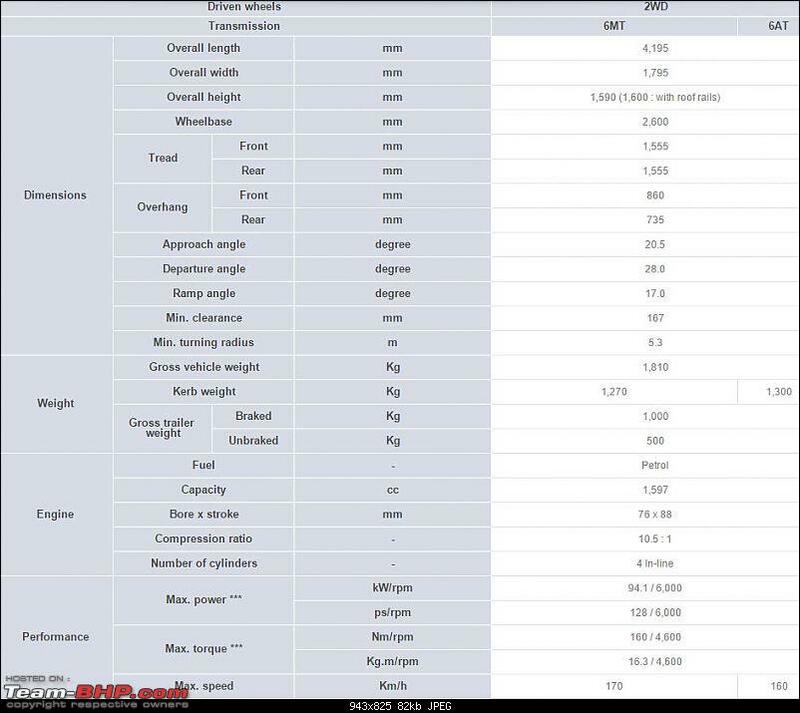 Look at its specifications and features, and I'm sure Mahindra (Ssangyong Motors) has a winner in their hand, only thing they need to work on increasing the ground clearance and a competitive pricing (keeping in mind engine size is 1.5 L and vehicle length 4.2 Meters). Hope will get some indications in next month's auto expo. "The car is named after the Italian town of Tivoli, Lazio, and was chosen because it can be read as "I lov it" in reverse"
From the looks of it, I guess KUV has drawn heavy inspiration from the Tivoli. And I personally would love a 1.5L engine considering the extra amount for insurance. This also could be used in the sub 4m models for availing the tax benefits!